1As much as we like to bemoan the effects of Mercury retrograde, not all planets incite such chaos when they move into retrograde (which is when a planet appears to move in the opposite direction than it normally does). 2Astrologically speaking, Jupiter rules wisdom, luck, and progress, and where it appears in your birth chart can determine the status of these areas of your life. 3Jupiter retrograde encourages us to turn inward and consider the state of things from a perspective other than our own. 4Enjoy this peace and quiet while you can. As much as we like to bemoan the effects of Mercury retrograde, not all planets incite such chaos when they move into retrograde (which is when a planet appears to move in the opposite direction than it normally does). Chief among these do-gooder retrogrades is Jupiter’s — and we’re set to feel its effects starting next Monday, February 6. For those of you who only associate retrogrades with ruined plans and awkward miscommunications, we entreat you to embrace Jupiter retrograde — this just might be the “pause” button you’ve been looking for. 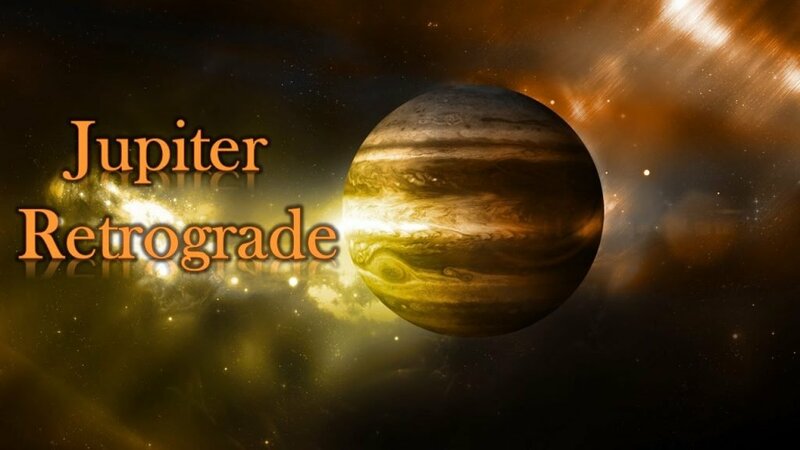 You might not be familiar with Jupiter retrograde because it doesn’t occur as often as Mercury does. However, it sticks around for much longer. Where Mercury goes retrograde around three times a year for 19 to 24 days at a time, Jupiter spends 120 days in its single, annual retrograde. Astrologically speaking, Jupiter rules wisdom, luck, and progress, and where it appears in your birth chart can determine the status of these areas of your life. When this planet is direct (a.k.a. not in retrograde), it promotes movement, active changes, and new opportunities. Before you panic, Jupiter moving into retrograde does not bring these forces to a screeching halt. More accurately, it puts them into slow motion. If that has you running in the opposite direction, too, hear us out: From what little we’ve seen of 2017 so far, this year is set to be nonstop. Between the Fire Rooster‘s influence and the astrological traffic jam we have headed our way, we will be moving full speed ahead into 2018 — and wouldn’t it be great to just take a breather? Jupiter retrograde is your chance to merge out of the fast lane. Jupiter retrograde encourages us to turn inward and consider the state of things from a perspective other than our own. This is a fantastic opportunity to reflect on a tough decision you’ve been putting off or to reevaluate any progress you’ve made in your personal life or career recently. Have you been working toward something you really want? Is there anything you can change about your approach to success? These may seem like capital-Q Questions, but that’s the beauty of Jupiter going retrograde — you have plenty of time to ponder them. Mercury won’t go into retrograde until April. Enjoy this peace and quiet while you can.